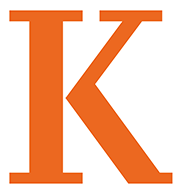 Kalamazoo College uses a holistic review process to fully assess your candidacy for admission, thus all materials you submit will be considered. We encourage you to read the information below on how to apply so you can understand what makes a student a good fit for K and which application materials are required. Information for transfer, international and home-schooled students can be found on their respective web pages. Contact your admission counselor with any questions about the application process! High School Curriculum: 91 percent of admitted students complete at least one advanced (AP, IB, Dual Enrollment) course in high school. *Kalamazoo College has a Test Optional admission policy. Merit-based scholarship award notifications will be included with the offer of admission. Follow us on social media for important application deadline reminders.